14"w x 11"h watercolor on WC paper. 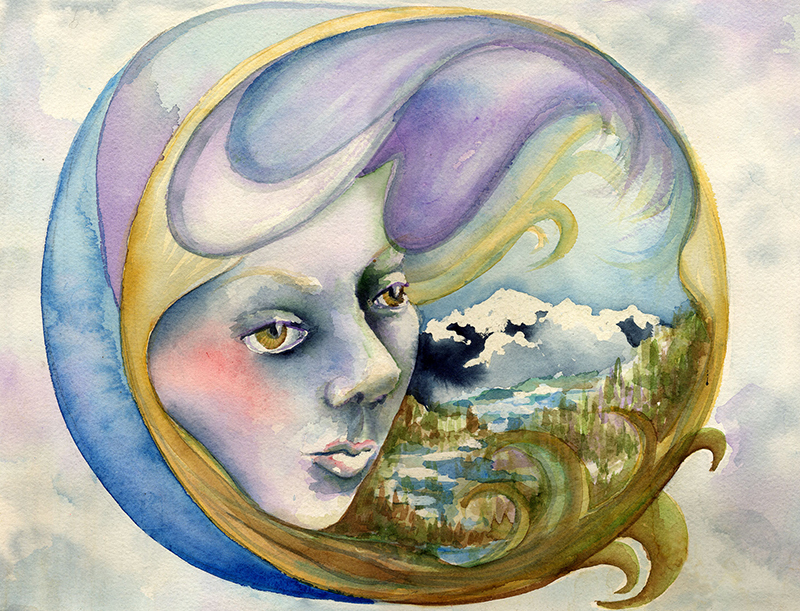 Watercolor fantasy illustration of the wind goddess blowing over a mountain top range. All images are ©Valerie Woelk, you must have written permission to use any images.